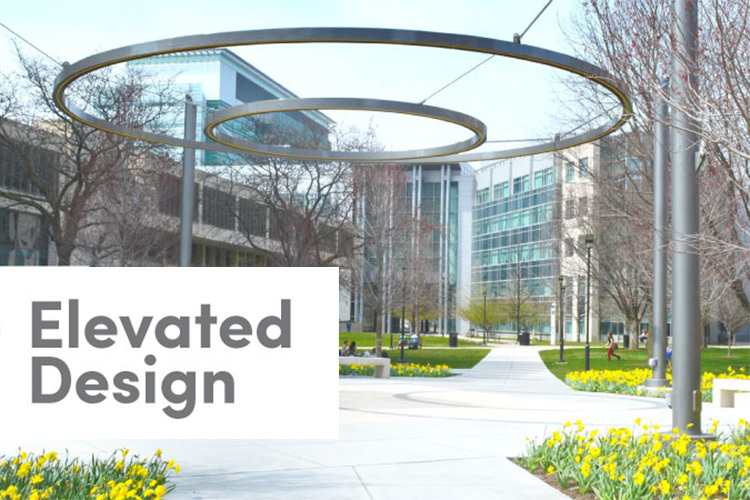 The inspiring light installation is an enduring reminder to University of Chicago scholars, faculty, staff, and visitors to cultivate bold ideas, build solid partnerships, and reach for new heights. On June 21, 2018, the University of Chicago and Maglin Site Furniture hosted an illumination ceremony at the campus. 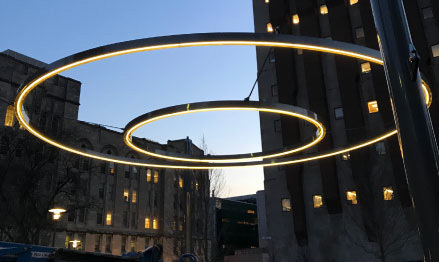 Guests enjoyed tours of the grounds, met representatives from the organizations that worked on the project, and got to marvel at the centerpiece of the event—the original artistic light installation.